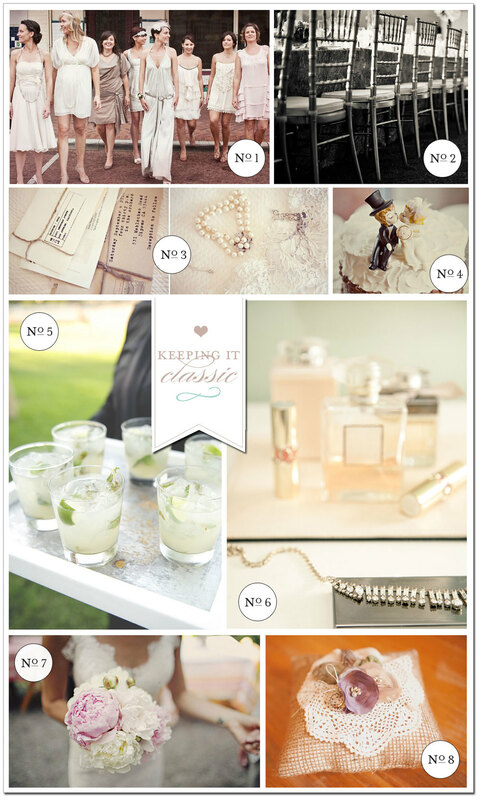 I thought I would put together an inspiration board with a classic, timeless feel. I wouldn't describe it as over-the-top, or vintage, or modern, or chic. So I went with classic & timeless. It sounded nice. Chiavari chairs, peonies, mojitos, twine, ring pillow, pearls, & a cake topper. No crazy bridesmaid dresses. I like those kind of weddings. What about you?